A volunteer art therapy program is focusing on the area of the brain that is often the last to be lost to dementia. For art teacher Judy Muir the end product is never the point of her classes. 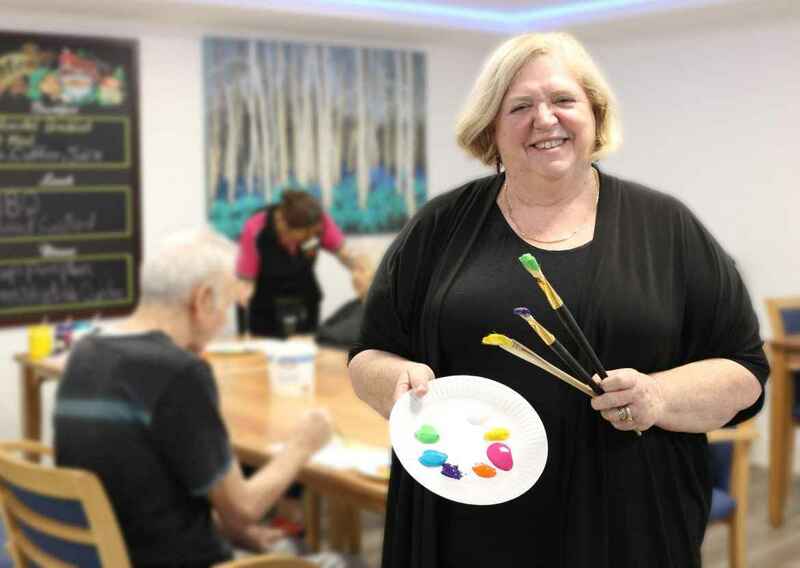 She volunteers at Southhaven Aged Care by running art therapy classes in the dementia area of the Home. Small groups of residents are invited to engage with paint by mixing it up and putting it on paper, but what they paint is less important that the process, Judy said. “There’s a bit of research around art and people with dementia, and the first level is to engage with material, and that’s what we’re doing,” she said. Judy is not put off when some residents don’t engage. “It’s a daily thing. I don’t look at it long term. If somebody gets some response at the time, then that’s a good thing,” she said. “It’s about brain stimulation and working the creative part of the brain that is the last to go. “Seeing somebody with really severe dementia really engage one day with mixing and applying paint is a really nice thing to see,” Judy said.